Welcome to Ardmair House, a property suitable for 2 families or a group. Situated in a quiet area of Ullapool it has large private garden and is a short walk to shops, pubs, leisure centre, sea, hills and cultural attractions. For late availability, short breaks and any queries please telephone or text 44 141 634 1681 or e-mail joanmacnab@aol.com. Prices vary according to number in party, season and last minute bookings. Please note that own website is down at the moment so please contact direct for further information. Situated in the beautiful Wester Ross coastal village of Ullapool Ardmair House is a traditional Scottish 3 storey Torridonian sandstone detached house built in 19th Century and refurbished throughout in 2011. 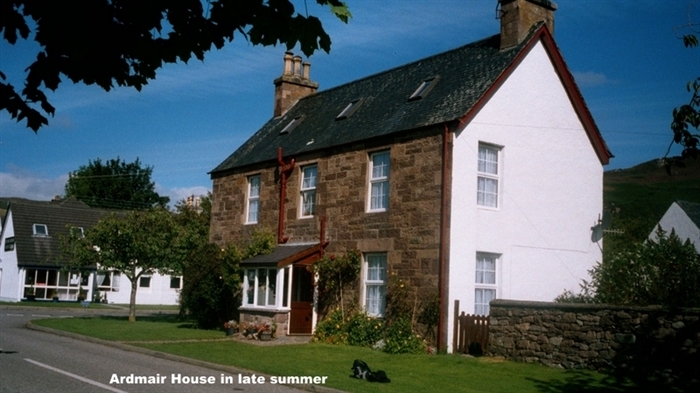 Being a sizeable house with 4 bedrooms (with basins) Ardmair House sleeps up to 12. The lounge has an open fire, books, satellite TV and WiFi. 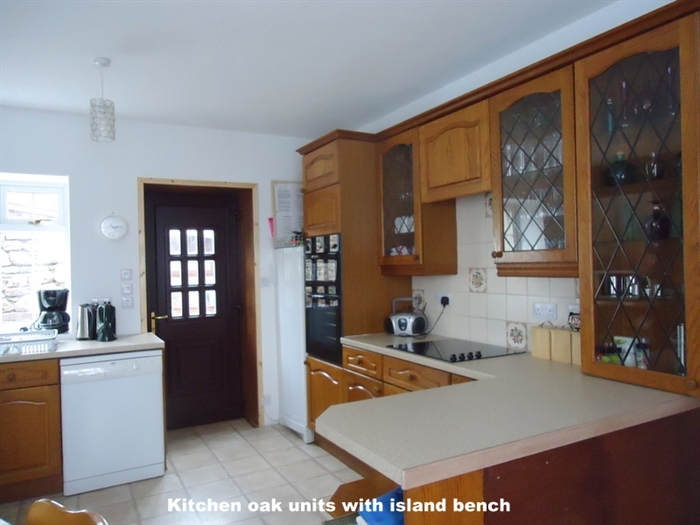 The fully fitted, well equipped, oak kitchen has Neff cooker, microwave, steamer, dishwasher etc. The first floor has a bathroom with bath and shower and the top floor has a shower room. There is a small laundry with washing machine and drier. The garden is large and enclosed making it suitable for children. There are eating/relaxing facilities and a large lawn for games. Although in a quiet area of the village Ardmair House is within close walking distance of shops, pubs, restaurants and further attractions. Apart from the stunning loch and mountain location of Ullapool the attractions are cultural and recreational. On the cultural side there are exhibitions, theatrical productions, concerts, music, festivals, art galleries and an award winning museum. The recreational features include a recently refurbished Leisure Centre with pool and sauna, climbing wall, gym, games room and tennis courts. Furthermore, there is excellent sailing, wind surfing, fishing (sea, loch and river), hunting, climbing and walking, local golf (and within driving distance of 20 courses, including Royal Dornoch (90 mins) and Castle Stuart (60 mins). Day trips to the Northern coast, Outer Hebrides and Orkney are possible daily. There are many good local pubs and restaurants with entertainment. Menus are interesting and much is made of local produce and excellent cooking.